As per market share for smartphones, Samsung holds the number one position. If Samsung wants to hold this position then it will have to face a tough time coming from Sony. While most popular smartphone brands are coming out with one flagship a year, Sony is doing something different, releasing around two every year. With its range of Xperia smartphones Sony has been quite successful in establishing itself as a strong contender for the smartphone market. When Xperia Z2 was launched by Sony earlier this year speculations had already started evolving for what could be coming next. Logically, the name given to the [tp lang=”en” only=”y”]next model by the analysts was Sony Xperia Z3[/tp][tp not_in=”en”]next model by the analysts was Sony Xperia Z3[/tp]; the exact name can be known only with its release. As per speculations of the technical world there are high chances that Sony Xperia Z3 will be released very soon being the end of third quarter of calendar year 2014. The release of Sony Xperia Z3 has not been confirmed yet officially by Sony. However, certain logical speculations show that it is most likely to be released by the end of September this year. While some are guessing that it might come to market by August as well, it is less likely to happen. 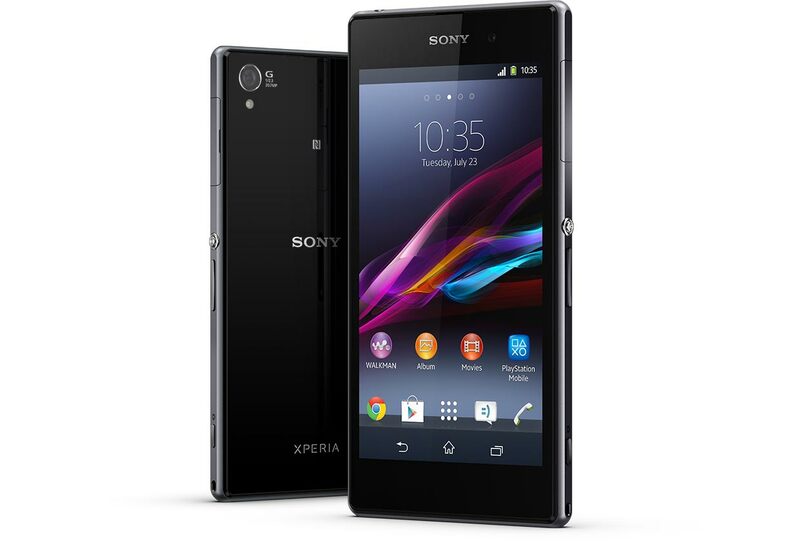 Last year, the release date for Xperia Z1 was announced at the IFA. So, it can be assumed that this year too, Xperia Z3 release date would be declared at the same event, which is scheduled to take place in the first week of September. Though, nothing has been declared officially by Sony in this regard as well, the price of the Z3 model of the Xperia series is going to be somewhere around $950. This is because other flagships are being kept near to that price, so this could definitely be a logical speculation. However, to know about the exact price world will have to wait at least till the IFA event, where the model is most likely to be displayed to the press and public for the first time. As per the initial investigations of analysts at various levels the Xperia Z3 is not going to have a lot of changes as far as display is concerned. Just like its precursor Xperia Z2, the Z3 model of the Xperia series will be having the same 1080p screen. Though, this resolution is quite okay among a large number of Xperia Z2 users, but it seems to be quite lower than its competitor QHD LG G3. Even though, the 1080p is fairly good, it is not the best. With technologies improving fast and competitors bringing phones with better resolution displays to the market, non-introduction of quad HD by Sony in its Xperia Z3 is quite disappointing. On the size front, as suggested by some leaked images of the phone, the display would be around 5 inches. While 5.2 inches Xperia Z2 screen is fairly big enough, it would be impractical to expect for a bigger screen size for the upcoming Z3 model. From some of the leaked images of Xperia Z3 available on the web, it can be presumed that the getup of the Xperia Z3 would not be much different from its predecessors such as Xperia Z2, Z1 and Z. However, the earpiece in this to be launched model has been positioned such that it gets a closer resemblance with the range’s earlier model T3. Most likely the handsets are going to be available in color variants of both white and black. The set will be quite slim and at the same time having a metal frame and glass back. The Xperia Z3 version is most likely to have a rounder appearance as compared to its precursor Z2. The back image of the phone reveals that there would be a 20.7 megapixel camera lens just like the former two Xperia smartphone flagships Z2 and Z1. The speaker on this upcoming phone has been shifted towards the left. Much expectedly this phone also bears a NFC symbol. The phone is going to have a notification light at the top left corner of its front face. In spite of high expectations out of the Xperia Z3, the inner built of the phone is [tp lang=”en” only=”y”]quite similar to that of Z2[/tp][tp not_in=”en”]quite similar to that of Z2[/tp]. While most expected for a Snapdragon 805 processor, Sony is likely to deliver the 2.3 quad-core Snapdragon 801 in Xperia Z3 just like its predecessor. Besides, there is going to be an Adreno 330 chip for graphics clocked at 578 megahertz and a 3GB RAM. Sony has made a slight change to the OS in Xperia Z3 from its previous flagship Z2 by using Android 4.4.4 instead of Android 4.4.2. Hence, in conclusion this can be said that the Xperia Z3 is though full of great features, it shows not much improvement from its predecessor Xperia Z2. Was waiting for something from sony. Its been a long time since they have launched something new. But Z3 will have a very hard time coz iphone 6 is expected to be announced around same time. The new model seems nice and I actually had a great experience with my Sony Xperia M duos but the question is whether it will be able to compete Asus Zenfone and Xiaomi. However, this point will be clear by the time it’s launched. Very detailed and informative post about Sony Xperia Z3. Sony smartphones are giving healthy competition to the Samsung and I-phone. For me, the current flagship phones are thin enough. I think what is more important than making phones thinner is making the battery more powerful. I love this smartphone. im a little dissapointing about sony smartphone cause they keep issued a new high end smartphone but just add a few specs so it not too different with their old smartphone. i think they too fast to issued a new phone so they can research a new features or technology in their new phone.